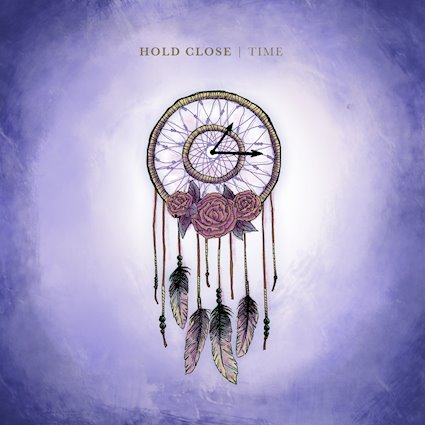 US pop punks Hold Close give us their debut record to kick off 2019. Following on from their earlier EPs, this record sees the band attempting to put themselves out there and establish themselves. This record sees them commit to a vibrant, layered sound that has developed since those early EPs. The record opens with Time. A chiming acoustic guitar line that’s soon surrounded by keys and airy production. The track, although just under 2 minutes, gives a good indication of the sound you can expect across the record. It’s a spaced out, more relaxed take on pop punk at times and it’s very much a sound of their own. Hang Tight picks up next with more of those keys poking from beneath the distorted guitars. Melodies that will please any and every pop punk fan sit over top and wrap up the package like a bow. It’s a strong start to the record. Next is Breath, which got a video and and single release in October. This is certainly a highlight on the record and a strong choice for a single. The songwriting underneath it all is solid with the instruments and production falling on top to accentuate. The build into the chorus and then the chorus itself are quite simply irresistible. The passionate vocals tied with the lyrical content make for a strong performance in themselves, let alone the instrumentation and production which perfect the track. Absent Reality comes in towards the later end of the record. It’s full of tension from the start which explodes beautifully at the chorus. Ear catching guitar parts which can be found across the record are in abundance here. This track showcases the bands range being a much more aggressive track than it’s neighbour Cloud9, a previously released single. Ominous noises in the background at the bridge show exactly how much work the production has been doing all this time, giving it a chance to truly shine. Aura, another sub 2 minute track, somewhat mirrors Time before it brings us into the closing track, Separation. It’s a defiant closer, showing the album is strongest at it’s finish. It’s a gang vocal filled, fist in the air, anthemic kind of track. Swirling, layering vocals build on the track to it’s finish. It’s a very well thought out way to close the album. If you’re a pop punk fan who loves the genre but desperately wants to see someone give it a new spin then this album is one to check out. It’s piano pop punk in a way I never thought I’d hear. It takes staple ingredients of pop punk and re contextualises them into a hazy, atmospheric sound of it’s own with gorgeous songwriting and some great production. Check it out.